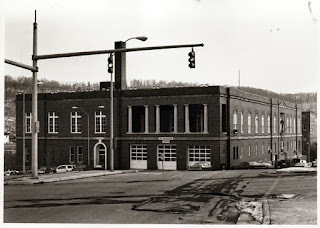 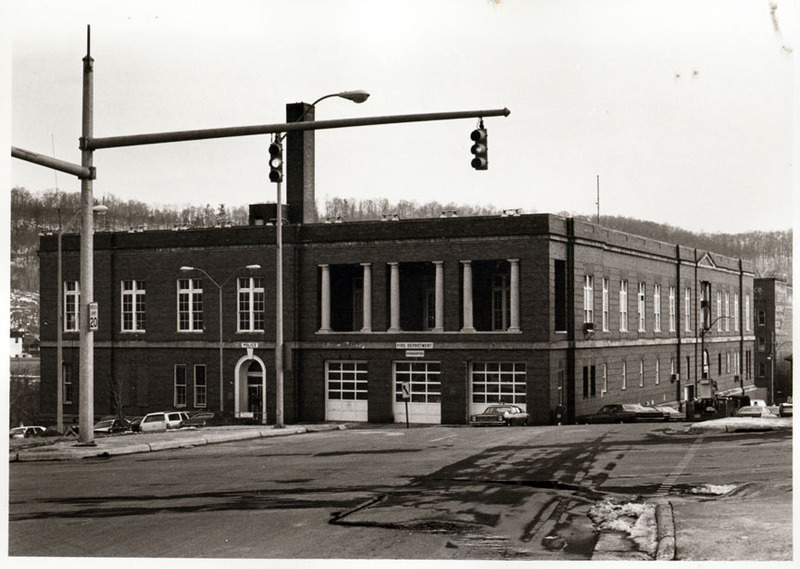 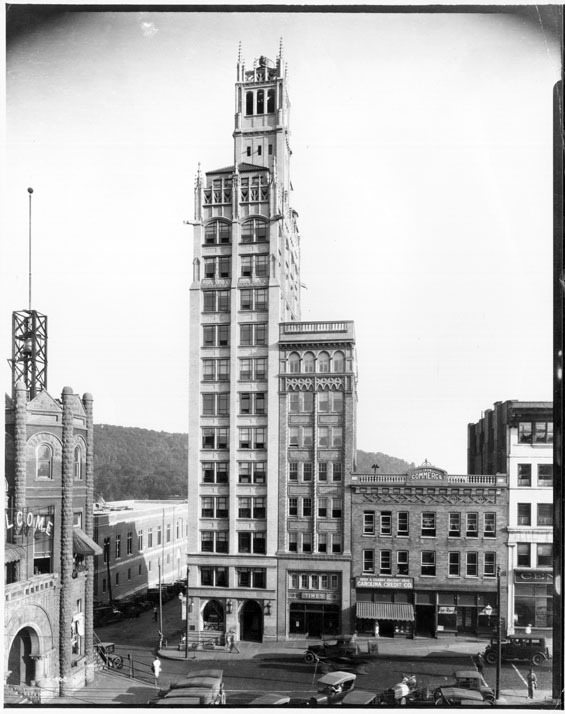 Current Station 1 and Headquarters opened on March 8th, 1926. 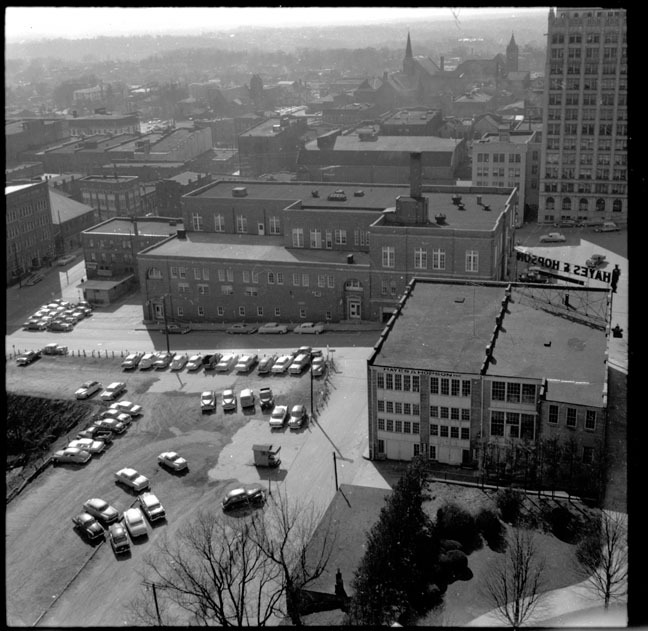 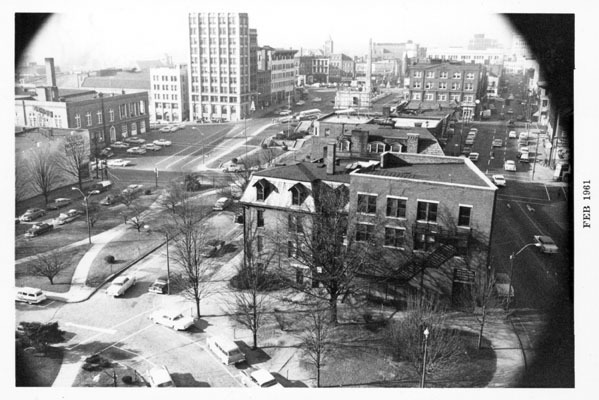 It was built to house the fire department, police department with a courtroom and jail, and a public market (until the 1930s). 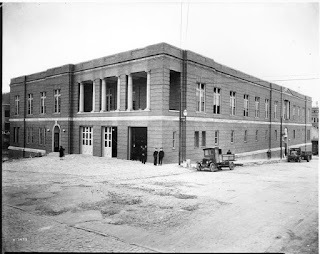 The building is 4 stories tall and also included a gymnasium and 3 fire poles. Major renovations were done between 1998 and 2000 removing most all of the interior character and destroying most of our history. 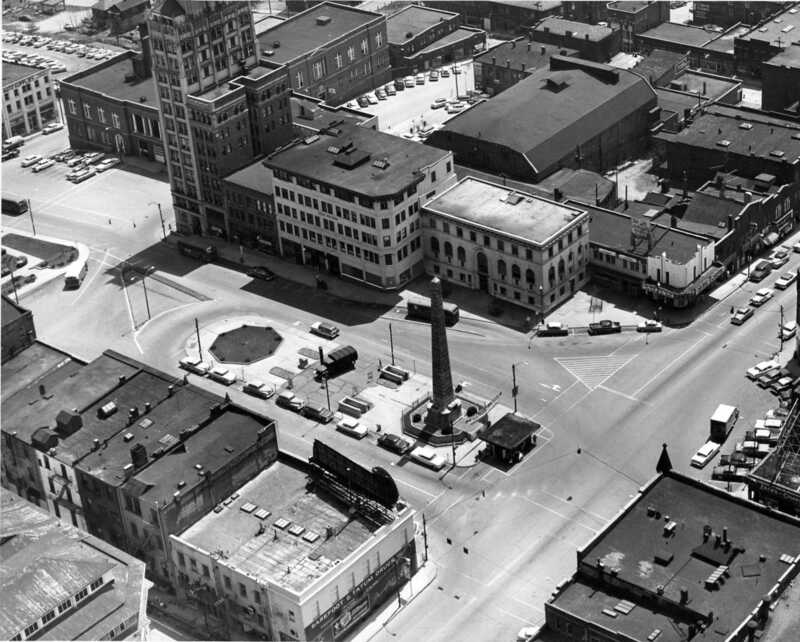 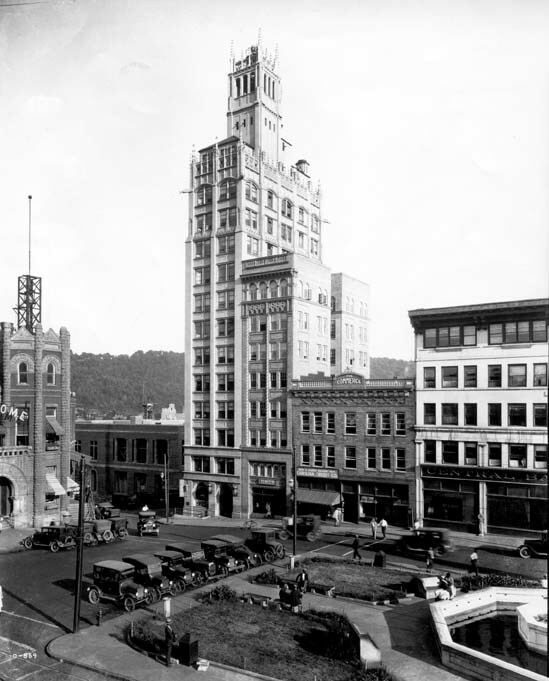 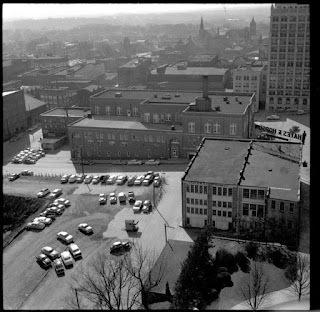 An interesting feature of this picture is the stairwells behind the Vance Monument that led down to underground restrooms. You can see in this photograph the location in relation to the original Station 1. 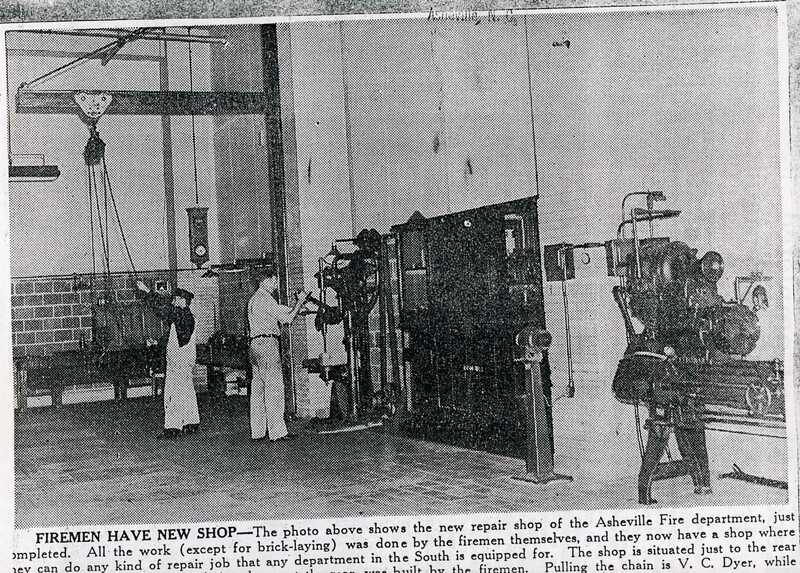 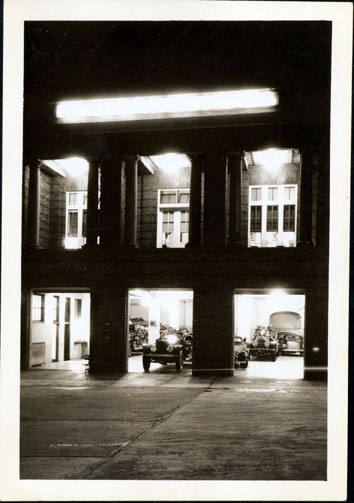 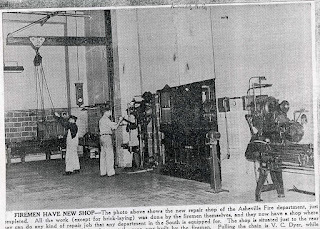 In November of 1941 a bay door was cut into the west side of the building to create a mechanic shop for the fire trucks. 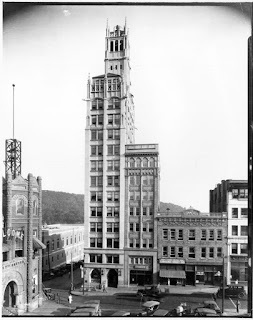 Photo from Asheville Citizen or Times. 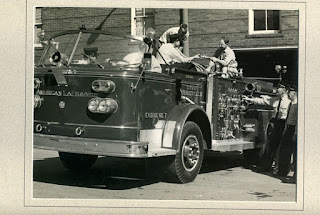 This American LaFrance fire engine was bought for Station 7 as Engine 7. 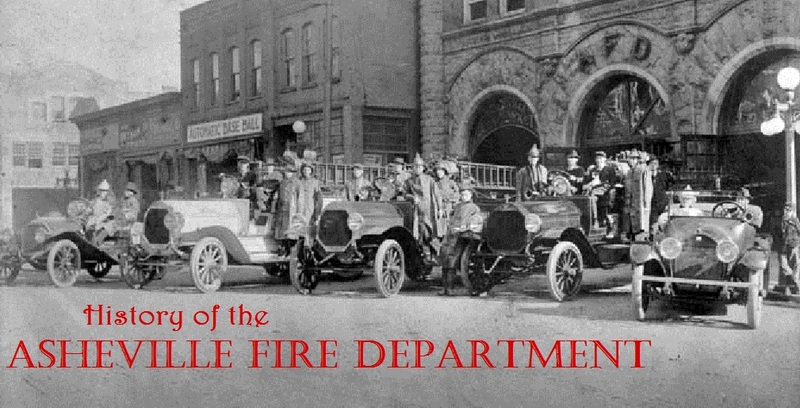 It's shown brand new in front of the mechanic shop at Station 1.